FRANKFURT – Once a week, Vincent Bonnaire drives 15 miles from his office in Aix-en-Provence to Marseille airport in the south of France. He’s not catching a flight. He just wants his weekly Whopper fix. Bonnaire, 28, an electrical equipment salesman, can once again enjoy his favorite burger in France. After a 15-year absence, during which rival McDonald’s captured almost half of the $12 billion French fast-food market, Burger King Worldwide returned to France in December. In the coming months, it plans to open its second outlet, off a motorway in Reims. Burger King’s first French foray was haphazard, ending with a quiet retreat after shuttering 39 restaurants. This time, Burger King has hedged its bets, sharing costs with Italian restaurant operator Autogrill. At stake is one of McDonald’s biggest markets based on sales and profits. 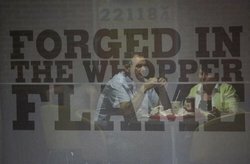 To beat McDonald’s and European rival Quick, which have gobbled up the best locations and tailored their menus to French tastes, the Miami chain must emphasize the flame-grilled burgers that have won passionate fans, according to Michael Schaefer, an analyst at researcher Euromonitor International. Another failure in France could sour investors on Burger King’s shares, which have advanced about 20 percent from the company’s opening share price on its June 20 return to the New York Stock Exchange, after owner 3G Capital completed a merger with a company co-founded by activist investor William Ackman. The stock has outpaced both McDonald’s and the Standard & Poor’s 500 index since then, bolstered by an international push that has taken the chain into places as far-flung as Siberia and Peru. A setback in France “would be a very big blow for the organization and for the brand,” said Darren Tristano, executive vice president at researcher Technomic Inc. in Chicago. Burger King is saying little about its plans in France, where the fast-food market will grow 17 percent by 2016, Euromonitor predicts. Autogrill provides expertise “in the travel sector,” according to emails from Leo Leon, Burger King’s general manager for Europe, the Middle East and Africa. Autogrill, based in Novara, Italy, runs restaurants – including more than 140 Burger Kings – in airports, railway stations and roadsides on four continents. The Autogrill pact allows Burger King to test the waters without big upfront investments, said Jerome Hamrit, head of the consumer and retail practice at A.T. Kearney in France. Burger King may benefit from its beef-heavy menu, a contrast to that of McDonald’s, often called “McDo” in France, which has increased its offerings of fare such as salads, fruit and pastries. Burger King should focus on the basics such as its Double Whopper, said Suzanne Stahlie, managing director at consultants FutureBrand in Paris. Waits can stretch to 45 minutes or more during lunch at the Marseille airport location. This entry was posted on Thursday, April 25th, 2013 at 8:45 am and is filed under Burger, Economy, Expansion Strategy, Experience, Franchise Activity, Future Plans/Announcements, Growth. You can follow any responses to this entry through the RSS 2.0 feed. You can leave a response, or trackback from your own site.